This giveaway is now closed. Thank-you for entering! A winner will be announced Monday. I remember this day very well. My beloved kitten had just been put down and I was feeling pretty low. I was passing some time away on Facebook when I noticed a post on a magnificent giveaway event over at Jeanne Oliver Designs. I didn’t expect to win. I just wanted to share a new creativity that I immediately fell in love with and appreciated. So I entered and bragged about it on my own Facebook to draw more crowds Jeanne’s way. But this wasn’t a little win. This was HUGE. It amounted to a $500 shopping spree! Well, let’s just say my little depression immediately lifted and I was giddy for a good long while. 🙂 It was the most difficult shopping ever because I loved it all! I’m a tomboy at heart so a chance to girl up my image a little was on order anyway. This just sealed the deal in the most exquisite of ways. I eventually made my choices and when they arrived, it felt like Christmas morning! and tiny burlap sacks only added to the receiving experience and became instant additional gifts. So what did I pick out? Get ready for the longest post EVER. When I saw the ruffled pillow covers, I knew exactly where it would land. My favorite place to sit is now prettier than ever thanks to these little additions! A little burlap sack landed as a self made tassel on one of them. How cute is that? I also ordered up one of her to die for ruffled aprons but they were sold out. (go see them!) But no matter. I was positively delighted with…. My must have grab on a daily basis is the amazing ruffle messenger bag. I adore the long handle which gives you plenty of hands free shopping and a place to stash most anything on a trip out. The ruffles are on the stiffer side, keeping their shape perfectly. And the flower is a pin and clip so you can use or remove it as desired. I tend to dress a little tom boyish so the ruffled touch kicks up the girlie touch just a notch without going overboard. It is PERFECT. How spoiled am I? I also chose these two ruffled totes. They’re a bit smaller in size with shorter handles, yet long enough to sling over your shoulder while you shop. All the bags have the most charming of liners along with Jeanne’s signature tag. Top notch designer quality all the way. A hot hot item for me was this camera bag. The bag was designed to be a camera bag and purse combo so you didn’t have to bring both along for a ride. Ever since my watch bit the dust about a year ago, I replaced that bare arm with bracelets instead. So when I saw Jeanne’s jewelry line, I whimpered and knew I had to have a few things. Two leather cuffs landed on my lap immediately, one labelled ‘artist’ and the other ‘dreamer’. And I haven’t removed the artist one since the day it came home. It reminds me of what I’m attempting to strive towards and to never give up. And when I saw this black vintage button variety, I knew it would look incredible for a dressier event, especially with my little black dress. The button details are so gorgeous! Who needs diamonds again?!? I also ordered up this adorable vintage black scale from the vintage section. I can’t wait to play with it! Some of the above items will no longer be avail once they’re sold out as Jeanne is moving over to her new fall line slated to be out by late October! However my very favorite item will still be available for purchase and we’re giving one away! Would you also love to have this amazing ruffled messenger bag? Such a silly question. 🙂 Go for it! Visit Jeanne’s online shop, share a favorite item of yours in comments and you’re in! Online shop link is HERE. “Like” Jeanne Oliver Designs on Facebook and tell me you’ve done so in comments for a 2nd entry. Facebook, tweet or blog about this giveaway event and tell me you’ve done so in comments for an additional entry. Giveaway is available WORLD WIDE. (you rock Jeanne!!) Winner must have email available in profile or on blog. If you don’t have a blog, please leave your email in each comment you make. Winner will be chosen next week by random.org. And Jeanne, this one’s for you. I love and adore the ruffled messenger bag, as well as the pillow. There are so many cute things on the site, but a lot of them are marked SOLD!! Very sad. What a great giveaway!! I love the ruffle tote…so adorable. OMG, such cute stuff! I’ve never been on her site, off to check it out now! yeehaw! True Korrie, many are. The new fall line is launching soon but some of those sold items are restocked regularly. Sorry for my poor timing on this… watch her blog and Facebook for restocking as it moves quickly! Great giveaway! I love the vintage postal scale. Would post a button about the giveaway in my sidebar, but guess I’m a doofus and can’t find one! Wow her stuff is amazing, i love the dream big bracelet and the ellisor camera bag especially!! Thanks for the chance to win!! it is so hard to choose a favorite from her site…but I guess I’d have to choose the ruffle bad or the vintage button bracelet or gosh I even love those darling burlap bags. I’d be thrilled with any of it. Thanks for sending me to her site. yes I liked her facebook page too!!! I “liked” her on FB!! 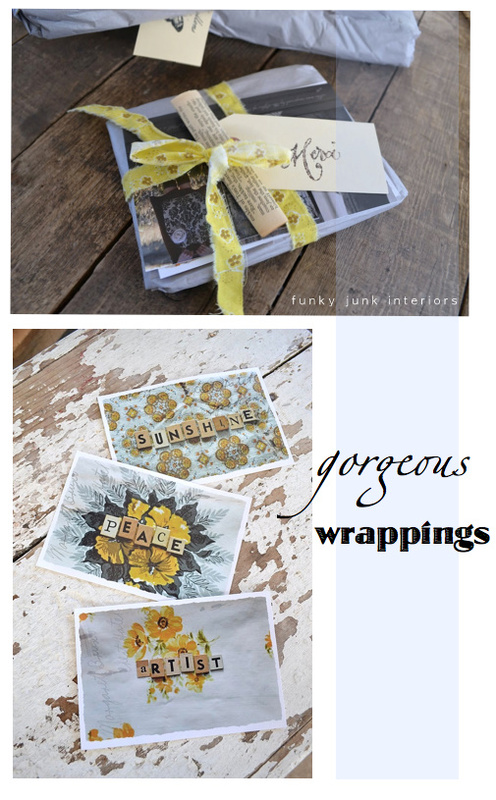 I am blown away by the fabulous gifts she made for you…just stunning! Love each of the bags but I love the laptop use one the most…such a great idea..you will look chic and no one would ever guess it was not a purse! Love the bracelets too…especially the elegant buttons. I have very happily liked her facebook page! I have also posted this up on my facebook page! Well, I love everything but would really like one of those ruffled totes! What fun you must have had shopping at her online store….dreamy! Oh, my…the ruffled apron. And the ruffled bag! #12, sorry, I’ve never made a button for a giveaway event before! I’ve revamped that last photo of the bag so you can cut and paste that if you wish! Thanks for the idea! of course it was sold, but I loved it anyway. I’d love to get one of the messenger bags, which is what you’re giving away, so YAY! I “liked” Jeanne Oliver on FB as well. I absolutely love the “Blessed” leather cuff!! I liked her FB page too!! That “artist” bracelet is soooo you…I love it. Well, I adored all of the vintage rings on her site…and totally need a bag for my laptop. I’ve been using an old one of my hubby’s that he got for free at work. Two words: not cute. I think all of your readers understand how difficult it was for you to lose your beloved cat, but doesn’t life just work in wonderful ways? At your lowest point, you are reminded about goodness and maybe, just maybe that special someone above wanted to remind you to keep your chin up. It is so kind of you to share in your windfall, Donna. I love, love, love the cream ruffled apron, so cute and feminine in the nicest way! Liked JO Designs on FB. Adorable messenger bag. Thanks for sharing. I would really love a Luella dress! Love her stuff! Thanks for the giveaway! Liked Jeanne Oliver Designs of FB. what a haul! you picked the BEST stuff & I’m so glad it helped you through your tough time. I just adore the ellison camera bag – so yummy! 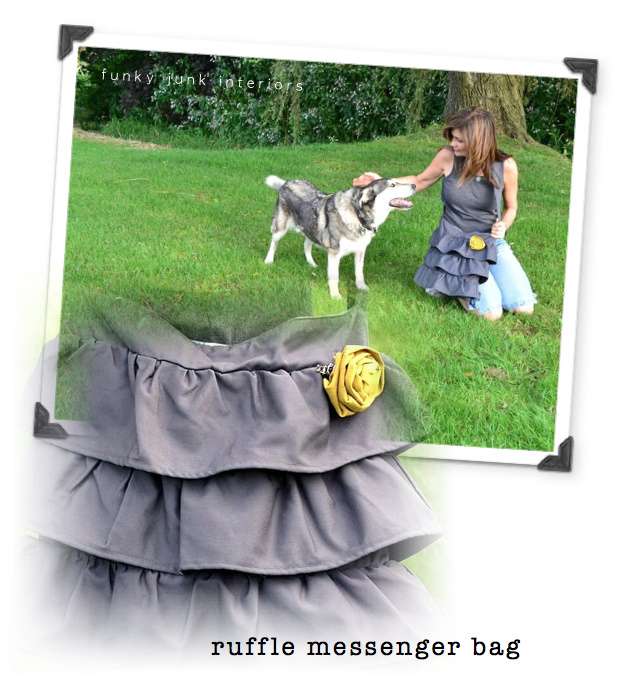 I would LOVE to win a beautiful ruffle bag! My favorites in her shop are the button bracelets, the ruffle bags, and the Sweet Friend print. I love the ruffle bags and the pillows! What a fabulous giveaway! You look so darn cute with the that messenger bag. If I win, I think I would like the messenger tote. I likes on facebook, commented, and I would love the camera bag! Oh heck, I would love anything in her store, it’s all wonderful! I liked Jeanne Oliver Designs on FB. Love love love the ruffled messenger bag. In 2010 i was at Na Da farm sale and I saw a women with the cutest bag. She told me it came from J. O. But the bags were sold out. Then, when they were back in, my love lost his job. Found a job and was laid off again. So i’ve been trying to rationalize buying one but haven’t been able to. SO, maybe with some lady luck i’ll win!!! your family’s so cute. Love your camping stories. Congratulations on the big win! She has such amazing stuff! My absolute favorite, though, is the She Was Living Her Purpose print. Beautiful artwork, I could see that proudly displayed in my craft room/office! Thanks for hosting this terrific giveaway! I like JO on fb. I mentioned the give away on my facebook. Leslie here,CONGRATS on winning!!! !Fits perfectly with your style! !I HOPE I win that ruffle bag!Her stuff is TO DIE FOR…..
MY FAVORITE things are in her ART category…so sweet…all of it!!! Congrats on your fabulous win. What a fun shopping experience. Several of the things that I liked were sold but one that wasn’t was the vintage crochet lace. thanks for a chance to win the great bag. I LOVED on FB,tweeted on twitter and DROOLED while doing it!!!LOL!! I love everything, but the ruffled messenger bag is my favorite. I liked J.O. on FB. Posted about this on FB. i love Jeanne’s blog as well as her ‘stuff’ … my favorite is the ruffled messenger bag! Lucky you!!! What an awesome prize to win! I love the Ellison Camera bag. Too bad the pillows are sold out – would have loved one of those! Thanks for the giveaway! I liked Jeanne Oliver Designs on facebook. OMG love the bag, and the spools and the print kit and the ruffled pillow and apron and the vintage black button bracelet and the creative soul bracelet…. WOW!!!! What a fantastic win!!! I love all of things that you chose. I went to the site and I love her stuff. Her art is amazing. I just may have to order one of her prints “She Loved Deeply” Her bags are fabulous too!!! I liked her on facebook too! Liked and Tweeted as well! Jeanne has some many wonderful items to chose from on her site. I adored the vintage scales and would use as a plant stand. Visited and like her on facebook too. My favorite item is the ruffle apron. I have loved this bad from the first time I saw it I also like her art work. I seriously love that messenger bag. It makes me happy just looking at it! I love love the messenger bag, but especially adore the camera bag!! I liked Jeanne’s FB page! How much would I like to win?!! I have wanted her ruffled bag for several months,so that would be my choice. Her items do sell out very quickly! I love the ruffled messenger back but really like the vintage look of the Sadie purse. Jeanne has great items. I like Jeanne Oliver on Facebook. I have to admit there are three things I am completely and totally in love with… ironstone plates, vintage tart tins, and the daisy chain bag (I have the same EXACT fabric in my closet just waiting to be made into something lovely!) And don’t get me started on bracelets…. Let’s just say I love bracelets! Girl YOu chose awesome prizes!! So I wnet on over, and how on earth am I suppose to choose one fave thing?? Will my entry still count if I say several?? books, ledgers, the cream bag, the rusty scale…. I love the ruffle messenger tote. It’s a perfect size. I definitely like Jeanne Oliver and did so on FB! I have the Cream Ruffled bag from .jeanneoliverdesigns saved as My favorites ! It’s my CREAM DREAM BAG !! Liked her on Facebook too !! And posted about this giveaway on my Facebook ! Thanks so much !! I love your stuff and I stay up late cruising your Blog ! I liked the fireman ledger (sold) and the postal scales (also sold). You gotta be quick with those great items on there. I also like the messenger or camera bag. I would love any of the bags and the vintage maps are cool. I truely LOVE LOVE LOVE those messenger bags!! I have had my eye on these forever!!!! I am now a face book fan of Jeanne Olivers so please enter me into the drawing!!! The ruffled bag is the best! that Ellison camera bag is soo amazing! I love each and every one of the messanger bags and the camera bag is to die for! Thank you for introducing me to Jeanne! I LOVE the camera bag!!!! i adore the ellison camera bag! I love the cream ruffled tote! I also liked Jeanne Oliver Designs on Facebook! I’ve been eyeing that ruffled bag for a while now… cant decide now if I like it or the camera bag better! Beautiful! I liked Jeanne Oliver designs on FB! I advertised the giveaway on my FB! I have to say I’m loving the camera bag as well as the messanger bag. Hopefully she’ll carry the camera bag in her fall line. I’ve had my eye on that ruffled messenger bag for quite some time! Of course I’d love to win!!! I like JOD’s on FB!!! What do I like!!! What don’t I like on her site. Love the cards, the jewelry, everything. Hey, I like the aprons too! And I don’t even like cooking. You reckon if I got the apron I might be more apt to do so?! Hmm…. Naaah. But I like the apron all the same. I love the white ruffle bag and the aprons! What wonderful mixed media pieces she has! And the camera bag is genius! I posted about the giveaway on the 3 Sun Kissed Boys fan page on FB. Ok you mention all the beauty but you failed to mention the presentation of her website, the presentation of her photos, gorgeous! I love the bag…and I deserve a gift to me so I am going back to find a treasure to make my day…just to get the gift wrapping…I love that. really love the vintage button bracelets. Congrats on winning, that is like a huge WOW!!! looked really cute with your ruffled bag. Very cute! I hope I win one! Goodness, Donna…you really won a fabulous prize, and chose so many beautiful things. On my 1st time to Jeanne’s site at your suggestion, I would either chose the “Letting Go” bracelet, or the cuff with the same saying. Of course I love the bag you are giving away. Thanks for the chance to win it. I went to her site and love the cream ruffle tote, and the button bracelet is just georgeous. I like her on fb and shared the love via fb. Rollin the dice!!! I liked Jeanne’s FB page & Linked to hers on mine. Cream ruffle tote is my favorite! I love the cream ruffle tote! Tweeted for my third shot at that fabulous camera/laptop bag! That baby is mine! I LOVE the Sadie Purse!! I like Jeanne Oliver Designs on Facebook (Kari N Steven Howell). I especially love the camera bag and the charcoal bags. I too am a bit of a tomboy style but like a little frill to it. These are perfect! I really love the ruffled messenger bag. So many pretty things on her site! I absolutely adore the Cream Ruffle Tote! 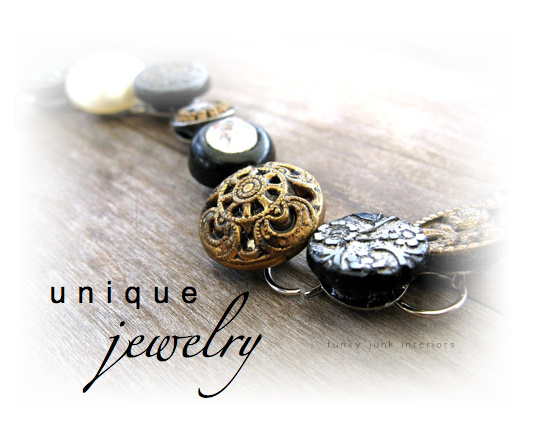 I don’t just “Like” Jeanne Oliver Designs on Facebook, I ♥ Jeanne Oliver Designs on Facebook! Love, love love the vintage maps and vintage collection #4. What a way to share such beautiful art. i love the vintage fan… i want one so bad = ) but those ruffle messanger bags are sooooooooooooooooo cute i would love one for everyday use and big enough to carry my camera around. Love, love, love the cream ruffle tote. Too cute! I have been a follower for awhile, love your blog. I love the Sadie purse, ruffled tote, ruffled pillows and some of the bracelets rock! HI Donna, great giveaway! In love with the Jeanne Oliver Luella dress…..and love so many other things……. Hi Donna, I’m back again to tell you that I liked Jeanne Oliver on Facebook. all the best, and by the way that’s a gorgeous photo of you and the dog and the messenger bag! Your healthy eating is obviously a great success! Wow! I was checking her stuff out earlier today…how neat is it that there is a giveaway for her amazing stuff? Woot woot! I gotta tell ya, I’ve been (as my husband says) “trying like a steer” for about an hour to get on your site…finally success! I love all her stuff, really love the camera bag. I loved her on fb! BTW…in case my email doesn’t show up, its…. Hi, It has to be the ruffled bag for me. Thank for the chance of winning. Thanks for sharing your windfall and Jeanne Oliver’s sites. It is the dreamy creamy apron I love. And I liked her on FB too. I just love the Dream Big Cuff with Fabric! What an awesome giveaway! I love the camera bag!! It would be perfect! I do love vintage fan, however, with 3 young kiddos, one is bound to lose a finger. I also love the cream ruffled tote – too cute!! I love the Mary Kate peasant dress… adorable! Toss up between the Ellison camera bag and the ruffled messenger bag. Love the grey with the small yellow accent. Super freakin’ cute! The Ellison Camera Bag is awesome! Sad it’s sold out. Cheez Donna, can I only pick one thing I like? Can I just say I love and adore a whole line! And then just not choose a line at all, because I love it all, jewelry, linens, bags, clothing, vintage, art. It is truly wonderful stuff. Just send a shout-out out on Twitter and Facebook. 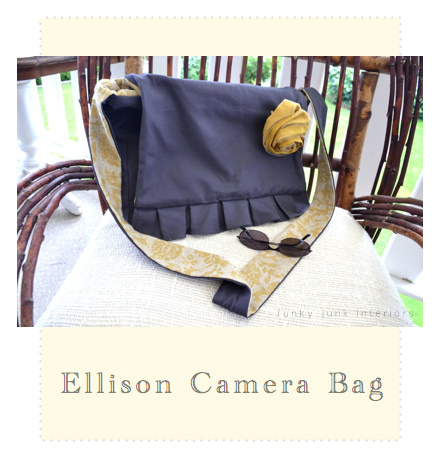 I visited Jeanne Oliver’s online site and I LOVE the Ellison camera bag. Very nice. Thanks for the excitement! My favorite is the ruffled bag hands down!!! Just liked her page on facebook and ordered a leather cuff for myself! Donna, once again I’m struck by the similarity in our aesthetics. I’m not what you’d call a “girlie girl” either. My style varies (depending on my mood) between casual contemporary and bohemian chic. 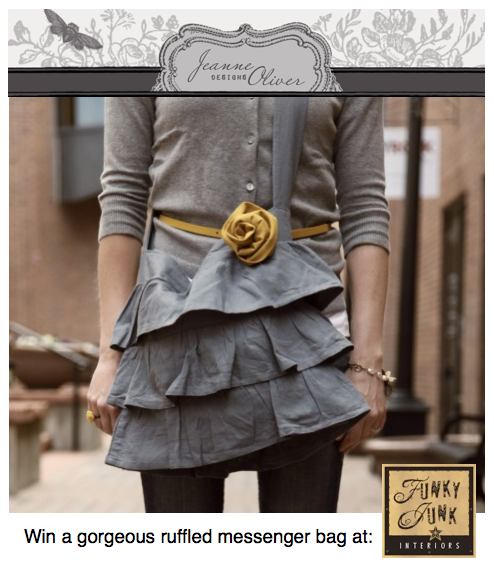 Thanks for turning me on to Jeanne’s site…her ruffled bags are PERFECT no matter what my mood. Love! Ok. Went to Jeanne’s shop. Love all her stuff, by the way, have for years. I am in love with the Gracie necklace (My daughter’s name is Grace) and the leather cuff with fabric. So great you are doing this! Sharing the good news about your Jeanne Oliver giveaway with my Facebook friends! Went to the facebook page to like! Love the colors and textures! okay, i’m in love with the ruffled messenger bag!! I love the Sadie bag!